Some people still do not understand how misleading it is to measure boats of different shapes by length. Let me explain. Physical objects, besides weight and inertia extend in three dimensions. My anchor rode is 50 meter long, but I can coil it and put it in a locker in my boat so surely it is not bigger than my boat. A scull weighs typically 14 kg and is around 8.2m long. A child can see that it’s smaller than Testas 12 foot Acrohc Australis and Spiess 10 foot Yankee Girl. 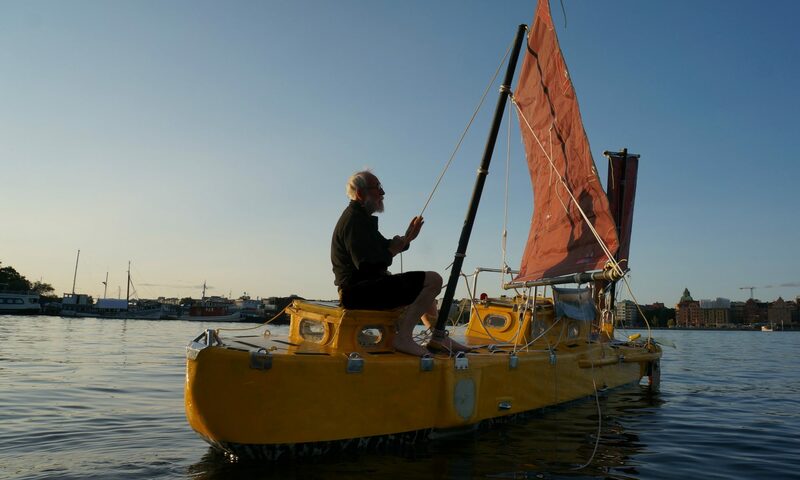 1956 Hannes Lindemann sailed a 17-foot Klepper folding kayak from the Canary Islands to St. Martin in the Carebian. His boat was 5.2 meter long, the weight was 25 kilos. With food and Hannes, 90 kilo heavy, it displaced 300 kilos. Testas 3.55 m boat displaced 800 kilo, Spiess 3.05 m boat 1000 kilos. To any rational mind Lindemanns boat was the smallest. I like to add that I think that Testa and Spiess made very interesting boats and voyages. I have read their books several times and enjoyed and learned a lot. They did go their own way, so will I.